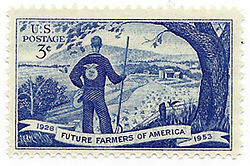 Founded in 1928, the Future Farmers of America brought together students, teachers and agribusiness to solidify support for agricultural education. In 1988, the official name was changed to the National FFA Organization. 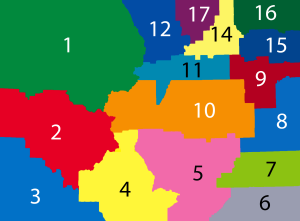 This change was made to recognize that FFA is not only for those interested in farming, but it is also for those with more diverse interests in the industry of agriculture, encompassing science, business and technology in addition to production farming. The Colorado FFA is dedicated to making a positive difference in the lives of students by developing their potential for premier leadership, personal growth and career success through agricultural education. 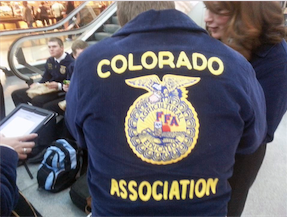 The most recognizable symbol of the organization is the blue corduroy FFA jacket that is worn by current FFA members. FFA members are required to wear the FFA jacket as part of official dress while participating in all official organization activities. The back of the jacket features a large FFA emblem just underneath the name of each FFA member’s state. The front of the FFA jacket features a smaller FFA emblem on the left chest and the FFA member’s name and, if applicable, office and year on the right chest. 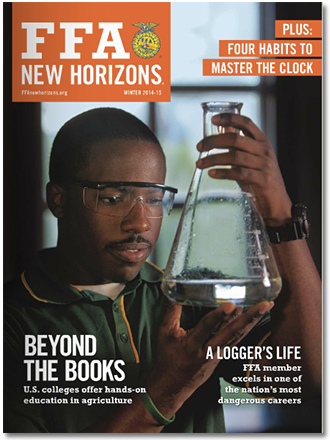 The official member publication for the National FFA Organization, FFA New Horizons.